Treat yourself to our restaurant-style thick cut rib eye steak. 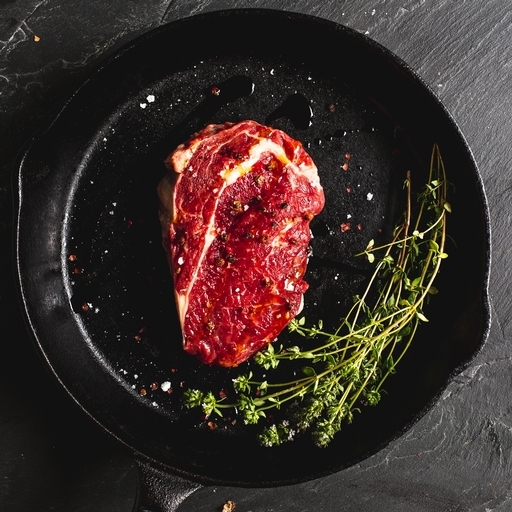 Rib eye is our butchers’ beef cut of choice; generously marbled with fat, it bastes naturally as it cooks, for a wonderfully rich, juicy flavour. Griddle, grill or fry in minutes, for a really special but ultra-quick meal. Keep in the fridge and do not exceed use by date. Can be frozen on the day of delivery to retain their flavour and tenderness for up to 6 months. When freezing defrost thoroughly and consume within 24 hours. Do not refreeze once thawed.